MAJOR road and rail works at Lloyd Street are on track for completion in time for the new Midland hospital opening. 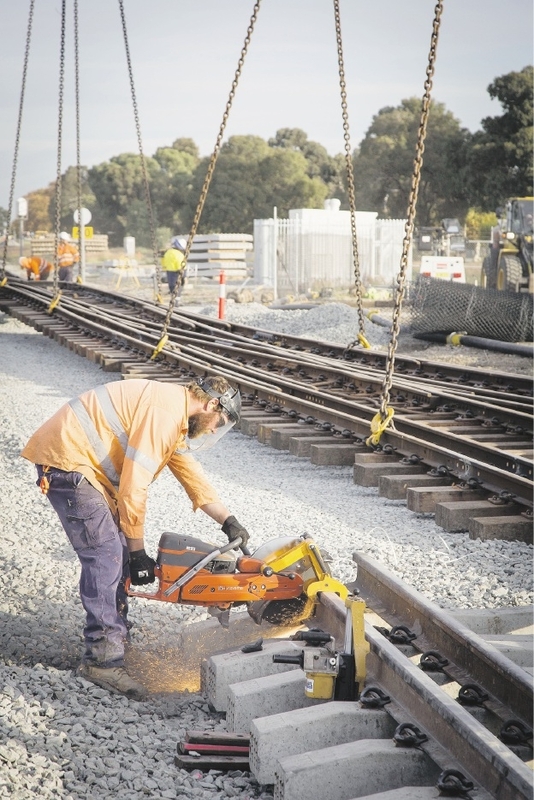 Workers recently cut sections of the old rail track in preparation for the two rail bridges that will run above the road underpass. 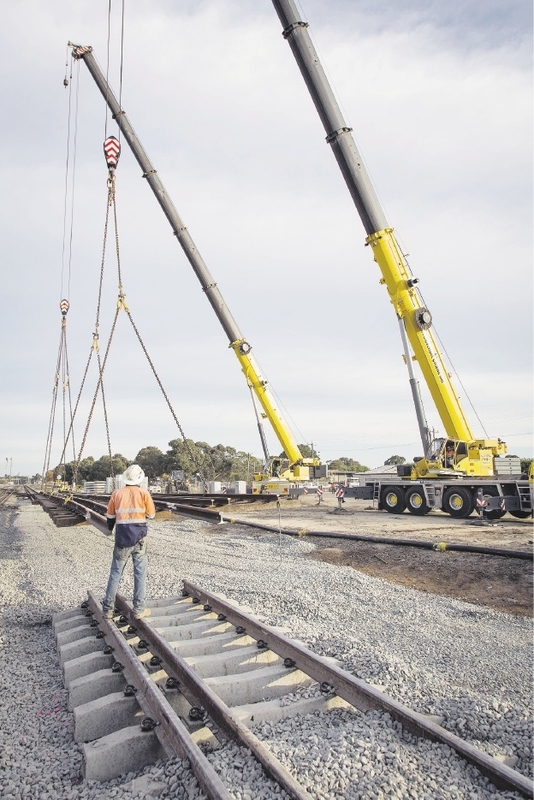 Giant cranes lifted sections of the track to their new permanent location after being slewed for a temporary alignment. Swan Hills MLA Frank Alban said completion of the $77.7 million Lloyd Street project was critical to the opening of St John of God Midland Public and Private Hospital on November 24. The State Government has spent $66 million on the project, with an additional $10 million from the Federal Government and contributions from the City of Swan and the Metropolitan Redevelopment Authority. In recent weeks, the project has made visible progress and the underpass is taking shape.